The winter can absolutely wreak havoc on the pavement around your home if you allow it to surprise you without doing some asphalt maintenance. Fortunately, the steps you can take to minimize any damage done by the cold are, for the most part, simple and affordable. It is certainly easier than a severely damaged driveway once you receive the unpleasant surprise of seeing it after all the winter snow and ice has melted away in late spring. 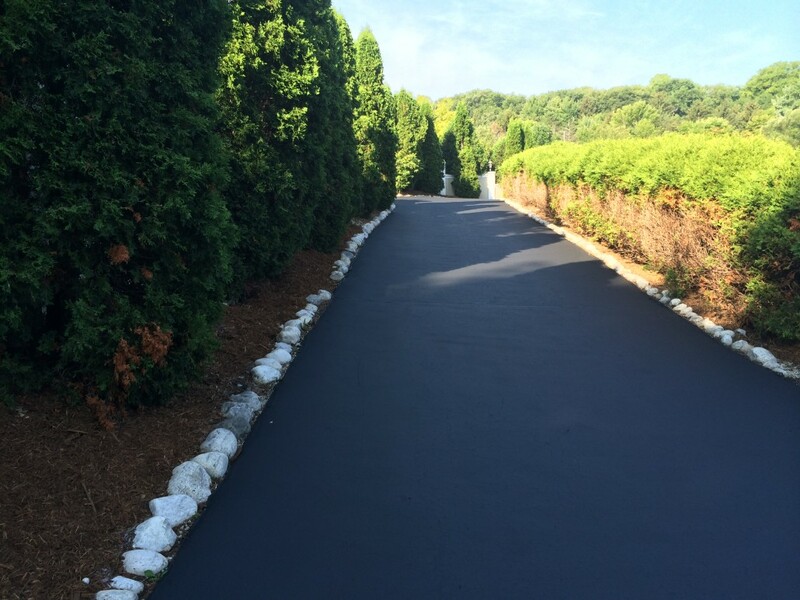 Take some simple measures while you have the opportunity – ensuring your driveway lasts as long as possible without needing any major repair. The first thing you need to do is check your pavement for signs of damage. Cracks and potholes are important to take note of before winter because they give refuge to moisture. If this moisture is allowed to enter it increases the potential of severe damage once frozen. The ice will expand and cause a wider spread in the material. Potholes and cracks should be identified and filled with “crack filler” before seal coating. The next step is to coat your pavement with seal coating. This seal coating functions as an added layer of protection against the water and ice characteristic of cold winters. The rain or snow will have a much harder time penetrating it at all, so any imperfections that may remain will be protected by the aegis of this coating. You want to put as much protection as necessary between the cold moisture of winter and any possible cracks in the pavement. Sometimes, it is very difficult or otherwise impractical to simply repair and improve existing pavement. This is especially true when the maintenance of the paved ground has been neglected for many years. Not only the winter moisture, but the sun, the weight of cars and pedestrians, and even the roots of plants can also cause your pavement to become jagged and unmanageable. In this case, the best choice is to have the whole thing covered with asphalt so that you avoid further damage. This will completely revitalize your driveway. This process should be performed far away from winter, as the cold air may make it difficult to spread the asphalt appropriately, which will cause problems. Prevention at the correct time will avoid unnecessary complications. If you want your pavement to offer last as long as possible with quality and integrity, then you should maintain it regularly. This is especially important for people in climates where the cold can become severe (freezing temperatures). Much of this maintenance can be done easily and affordably if it is done at the appropriate time. As fall approaches, it is time to contact your professional seal coating experts in Kenosha, Wisconsin – Armored Sealcoating. Contact Armored Sealcoating for your free pre-winter asphalt maintenance quote today. Lake Geneva Residential Seal Coating Success! Commercial Asphalt Maintenance – Last Call Before Winter!